What's more fun than a barrel of monkeys? 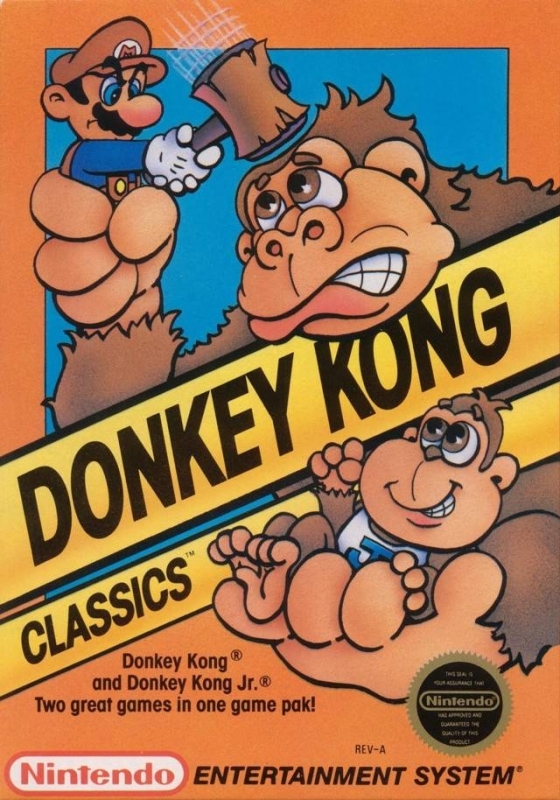 A Donkey Kong double feature! 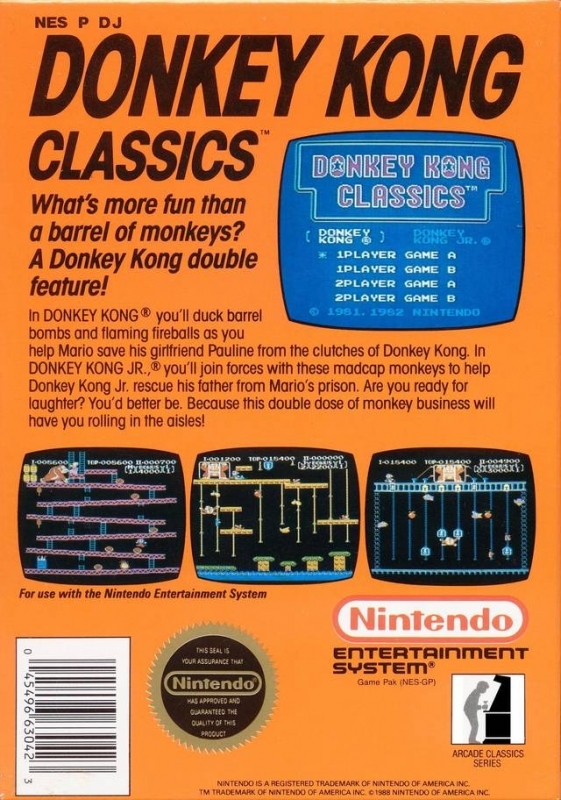 In DONKEY KONG you'll duck barrel bombs and flaming fireballs as you help Mario save his girlfriend Pauline from the clutches of Donkey Kong. In DONKEY KONG JR., you'll join forces with these madcap monkeys to help Donkey Kong Jr. rescue his father from Mario's prison. Are you ready for laughter? You'd better be. Because this double dose of monkey business will have you rolling in the aisles! I remember my mom freaking out and going to a million stores one Christmas to get this game for me. 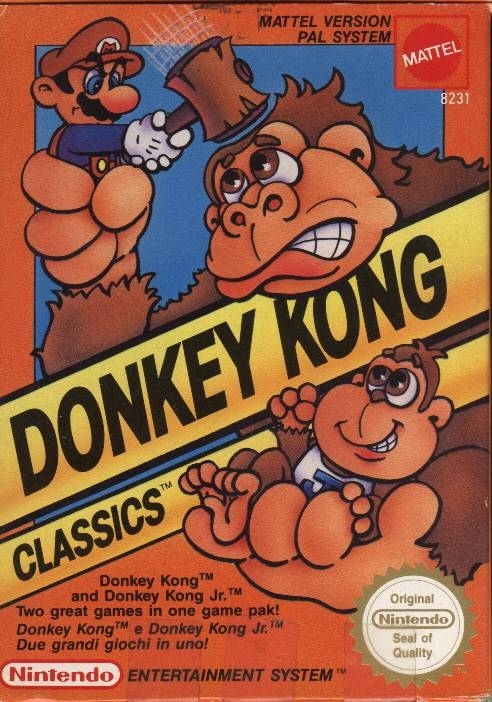 I needed BOTH Donkey Kongs on one cartridge or I was going to explode!